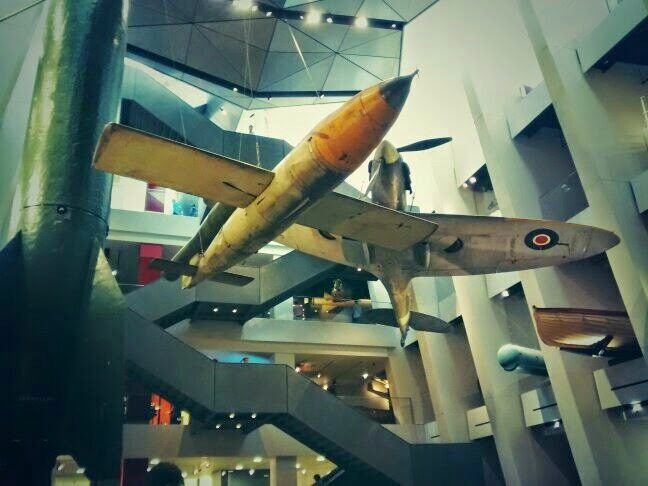 The Imperial War Museum reopened a few weeks ago, after £40 million worth of work to add lots of extra gift shops, cafes, and space for commercial events. Whilst your author wasn't particularly taken with the changes to the other galleries on a recent visit - full of unlabelled exhibits, sponsor advertising & politics - the new First World Galleries are stunning and well worth a visit. At present, during school holidays and at the time of the centenary of the beginning of the war, you are likely to have to queue or face timed entry to get into the galleries, but when you do there is certainly enough information to go around. In fact, the approach of the new galleries seems to be to engage everyone individually all the time, rather than making it a collective experience, which is rather welcome. The galleries, designed by Foster & Partners, inevitably examine life on the various fronts, via photography, video, first hand accounts, interactive push-button distractions and original artefacts. It's well worth a visit if you can find a quiet time to do so. A few years ago, The Fine Arts Society in London held an exhibition called War. They wrote that wars were the catalyst for the best artists of their generation to produce some of their most modern and powerful work, even more importantly because photographic images of the reality of war had been repressed. The show included stunning works by many artists, including CRW Nevinson and Paul Nash. Are these paintings back/now at the Imperial War Museum? This sounds like a temporary exhibition but the war museum has its own brilliant art collection, housed in the upper galleries - well away from the crowds. However, I was there yesterday and it was horrendous in the main part of the museum. The new design has created serious problems with crowd management - aimlessly milling hordes of disoriented people. And Mary, you visited during the school holidays, when the new galleries had just opened, on the 100th anniversary of the first day of the First World War...it's hardly a surprise it was a little busy. We must have been mad! But I still think they need to address this problem of bottlenecks - it doesn't seem very well-planned.